A Greek cooking classic, also popular in Turkey. Tzatziki is a sauce made with yogurt, cucumber, garlic, and herbs that can be served with grilled meat, like souvlaki, or as an appetizer with some bread, olives, and other mezzes. There are numerous well-known recipes. 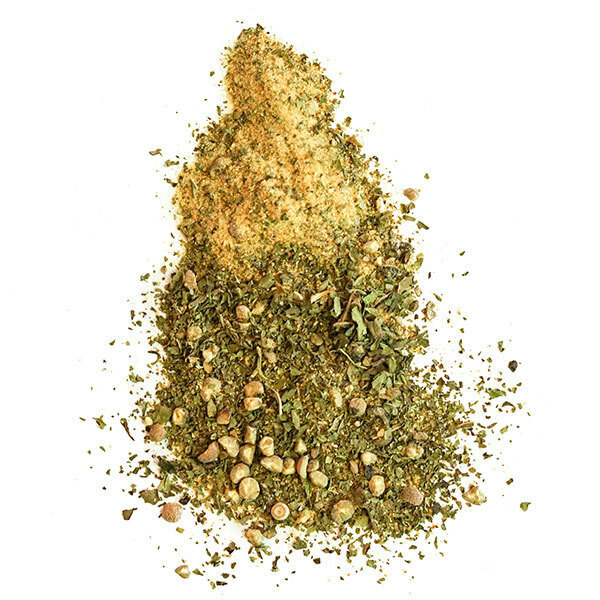 Our blend is composed of garlic, mint, and pepper. You only need to mix it with some yogurt and grated cucumber- ideally a few hours before serving. You can also add a good splash of olive oil. Try a version made with sour cream instead of yogurt if you prefer.